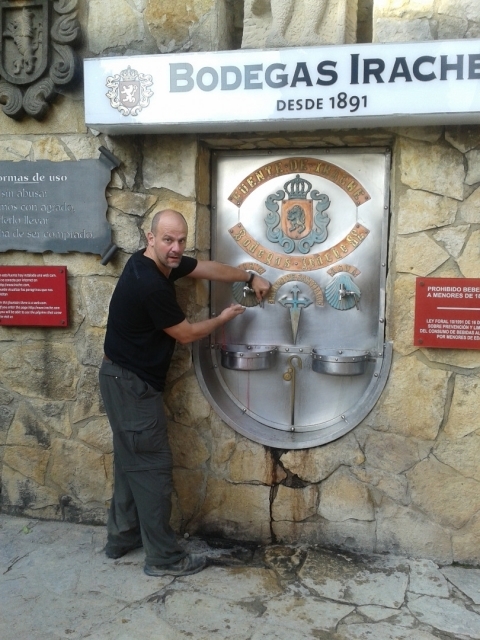 Do you know the fountain of wine of the Camino de Santiago? Today we received the news of the installation of a fountain in the Italian region of Abruzzo, through which passes much of the pilgrimage route between Rome and Ortona, with the particularity that the fountain provides wine to pilgrims 24 hours of the day. The curious thing about this news, which no doubt draw the attention of anyone, is that this is not the first fountain of wine, and is already for years pilgrims on the Camino de Santiago have access to their own. 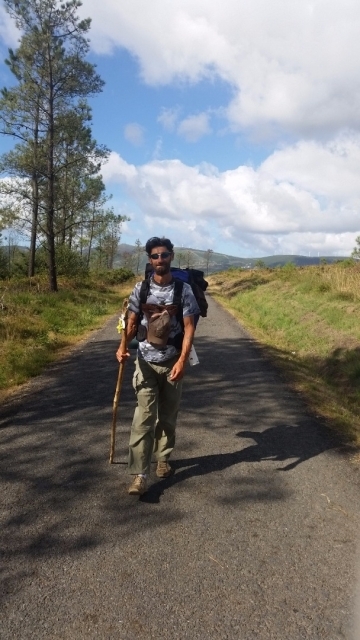 If you are a regular pilgrim and have traveled the French Way from Saint Jean Pied de Port perhaps you know it, but we know for sure that many of you you had not had news of the wine fountain installed in the Navarran town of Ayegui, where the pilgrim Estella passes after leaving the stage to Los Arcos. 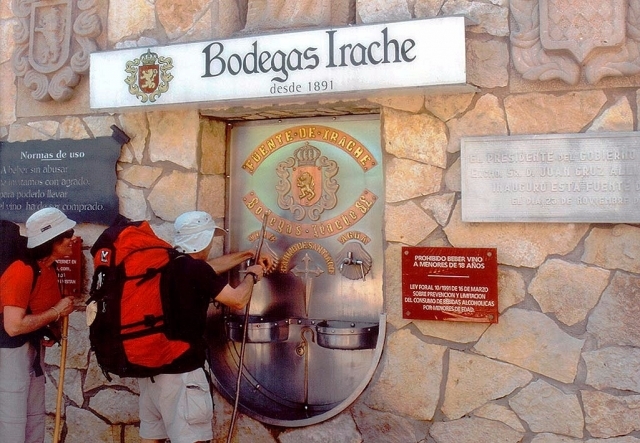 This particular font is installed on one of the walls of Bodegas Irache overlooking the Camino de Santiago and consists of two faucets, one of water and one of wine, completely free. Pilgrims also can be made with a stamp souvenir of the Fountain of Wine credential in the Wine Museum on Saturdays and holidays and on weekdays in the offices of Bodegas Irache. On page wineries you can also see a live webcam source.